Laurel and Hardy attempt to reignite their film careers as they embark on a theatre tour of post-war Britain. With 2018’s Stan & Ollie, we get a look at comedy legends Laurel and Hardy late in their joint career. By 1937, Stan Laurel (Steve Coogan) and Oliver Hardy (John C. Reilly) stand at the top of the show business heap, but a disagreement about their contract with studio mogul Hal Roach (Danny Huston) creates a rift. In 1953, Laurel and Hardy find their popularity in steep decline, and they embark on a live theater tour of the UK. As they struggle to recapture commercial relevance, Stan and Ollie address long-simmering tensions and aspects of their relationship. 2018’s Bohemian Rhapsody offered another show biz biopic, and when I reviewed it, I tore it apart due to its many factual liberties. Ollie also plays fast and loose with the truth, yet I plan to give it a positive rating. Does this make me a hypocrite? Maybe, as I can’t excuse the historical inaccuracies of one film while I pooh-pooh those of another. I admit the lies of Rhapsody bother me more than those of Ollie because I lived through the era depicted in the former but not the latter. I remember the events of Rhapsody but I was years from birth during the time of Ollie, so I can’t relate in the same way. If I ignore that subject entirely, Ollie comes out ahead simply because it’s a much better film than Rhapsody. Even if the latter boasted flawless accuracy, it’d still be a mess, while Ollie brings a fairly charming tale of friendship. I like the movie’s choice to stick with one period in the duo’s career rather than attempt to spread itself thin. While we find the 1937 prologue, we don’t get an “origin story” or any broad stab at their history. This allows us to focus on the characters themselves rather than a “greatest hits reel” of Laurel and Hardy’s rise and fall. We can see the two interact in a way unburdened by the need for massive amounts of rapid exposition. Because of this, we focus on their interactions and chemistry, a choice that works well, especially because it allows Ollie to let the actors shine. When the film soars, it does so mainly due to the interactions of its leads, as both Coogan and Reilly flesh out their parts in a highly satisfying manner. Really, the vast majority of Ollie’s charm relates to the easy bond between Coogan and Reilly. They make their roles three-dimensional and give off the impression of long-time friends/associates. That factor goes a long way toward the movie’s success. We bond so tightly with our leads that we invest in the story despite a generally thin plot and a few too many melodramatic scenes. In addition, Shirley Henderson and Nina Arianda delight in their secondary parts as the boys’ wives. Both veer toward shtick at times but they still show a fun interaction and add mirth to the proceedings. I don’t think Stan & Ollie brings us a classic biopic, but it does pretty well for itself. The actors add charm and warmth to the proceedings and make this a likable project. 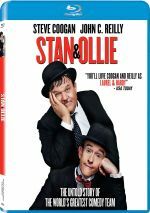 Stan & Ollie appears in an aspect ratio of approximately 2.40:1 on this Blu-ray Disc. This was a fairly good image. As for the DTS-HD MA 5.1 soundtrack of Ollie, it offered a low-key auditory experience. Sound quality was always good, at least. Three Deleted/Extended Scenes fill a total of 10 minutes, 28 seconds. We find “Double Door & Hats” (4:12), “Hard Boiled Egg” (4:33) and “Way Out West Dance” (1:46). If you hope to find more story or character information here, forget it. These just offer full versions of Laurel and Hardy comedy routines. While fun in that sense, they’re not great as “deleted scenes”. Four featurettes follow, and Making Stan & Ollie spans four minutes, 43 seconds. It offers notes from director Jon S. Baird, writer Jeff Pope, producer Faye Ward, and actors Steve Coogan and John C. Reilly. “Making” looks at story/characters, cast and performances, and makeup effects. It brings us a pretty mediocre overview. With Playful Prosthetics, we find a three-minute, 20-second reel that features Reilly, Baird, Coogan, and makeup effects designer Mark Coulier. The clip gives us a short but decent look at the prosthetics used to turn the actors into their characters. The Dancing Duo goes for three minutes, 35 seconds and brings notes from Baird, Coogan, and Reilly. They reflect on the Laurel/Hardy relationship. It’s too short to tell us much beyond basics. Finally, a Q&A lasts 30 minutes, 37 seconds and includes Reilly, Coogan, Baird, Coulier, and actor Shirley Henderson. They discuss the project’s origins and development, cast and performances, prosthetics, story and characters, and aspects of the production. The Q&A benefits from the interaction of the participants, as they add verve to the proceedings. We also get some good insights during this engaging chat. The disc opens with ads for Maria By Callas, The Seagull, Brigsby Bear, All Is True, Mark Felt and Maudie. We also find a trailer for Ollie. A take on Laurel and Hardy late in their successful career, Stan & Ollie comes with a few dings against it. However, its actors carry it and make it a likable tale of friendship. 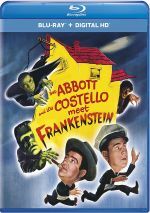 The Blu-ray offers very good picture as well as adequate audio and a smattering of supplements. This winds up as an engaging effort.